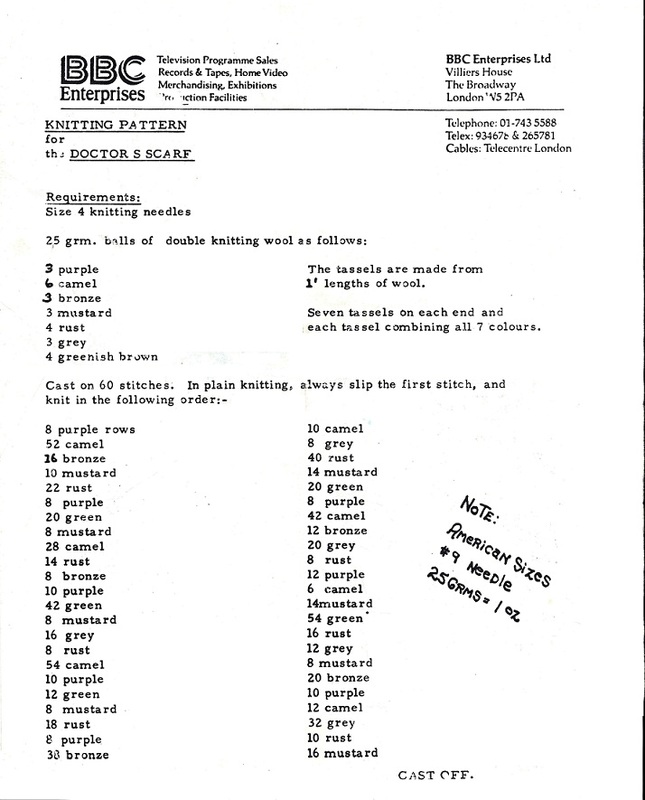 Cosplayer 93Fangshadow posted an official set of knitting instructions for recreating the distinctive scarf worn by the 4th incarnation of the beloved Gallifreyan Doctor Who. In 2013, Carjacker posted a similar pattern from the BBC for a scarf his grandmother made for him. My Grandma Erna was a terrific knitter. She made all kinds of things and not the awkward, ugly sweaters that grandmas are known for. She was really good and she was a good sport too! 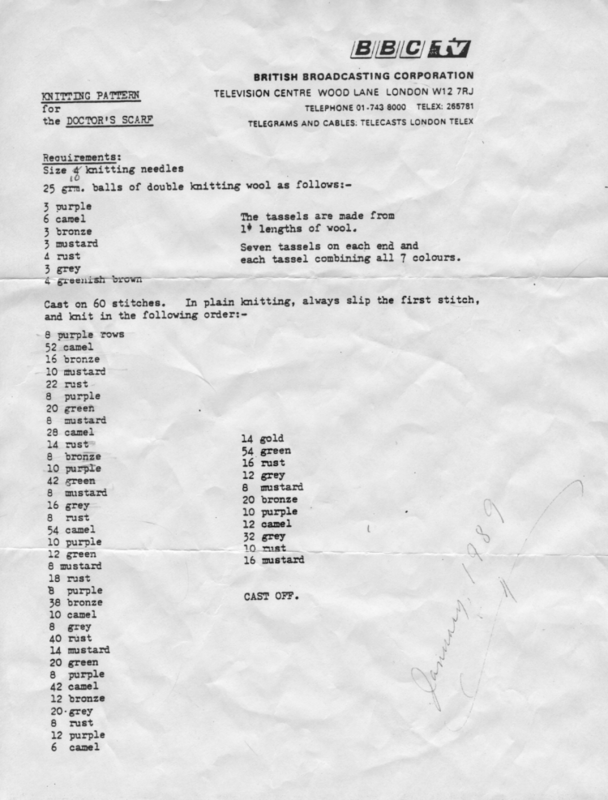 In 1988, I asked her to knit me a Dr. Who scarf. She did. I still have it.